Dr. Nirmal Kumar is a renowned Dentist in Saligramam, Chennai. He has helped numerous patients in his 7 years of experience as a Dentist. He has completed MDS, BDS . 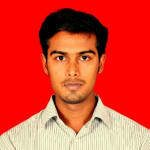 You can visit him at Tooth Care in Saligramam, Chennai. Don’t wait in a queue, book an instant appointment online with Dr. Nirmal Kumar on Lybrate.com. Lybrate.com has a nexus of the most experienced Dentists in India. You will find Dentists with more than 35 years of experience on Lybrate.com. Find the best Dentists online in Chennai. View the profile of medical specialists and their reviews from other patients to make an informed decision. I have pain in my teeth. I only chew from the right side. Having pain while chewing food from the left side. Make an xray nd do a root canal treatment and put a crown fr it. It may be an cause of impacted teeth too. Tat is wisdom tooth. Get treated asap. Dnt chew oly on one side. It may cause tmj problem. Tat is joint problem.